Want to be notified of new releases in sindresorhus/refined-github? 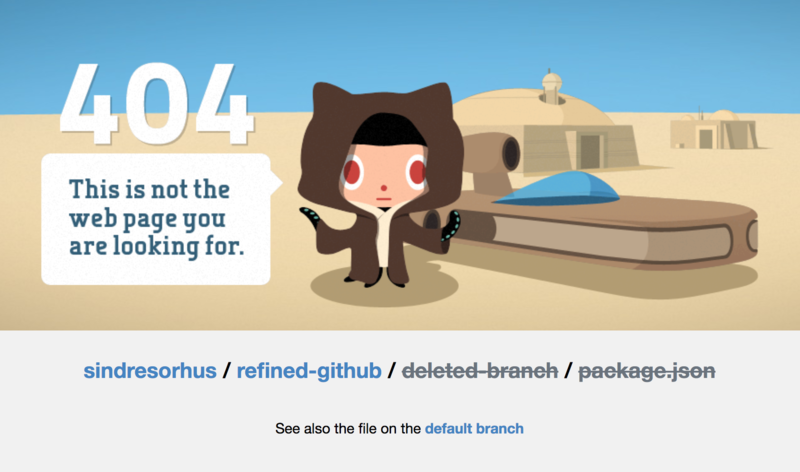 We use GitHub a lot and notice many annoyances we'd like to fix. So here be dragons. 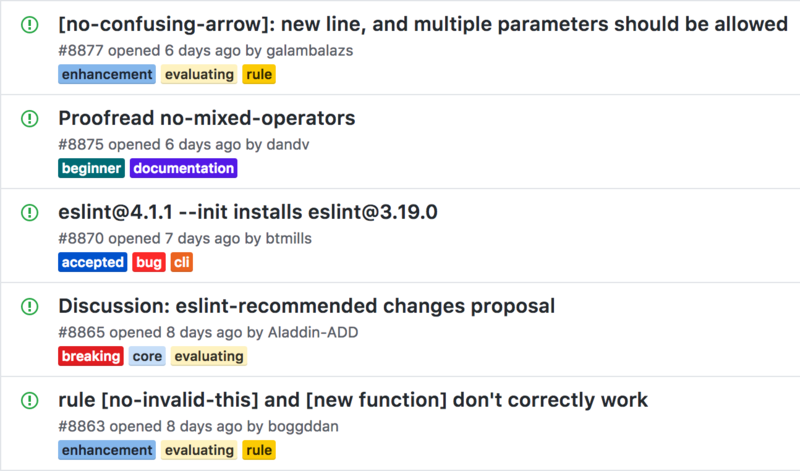 Our hope is that GitHub will notice and implement some of these much needed improvements. 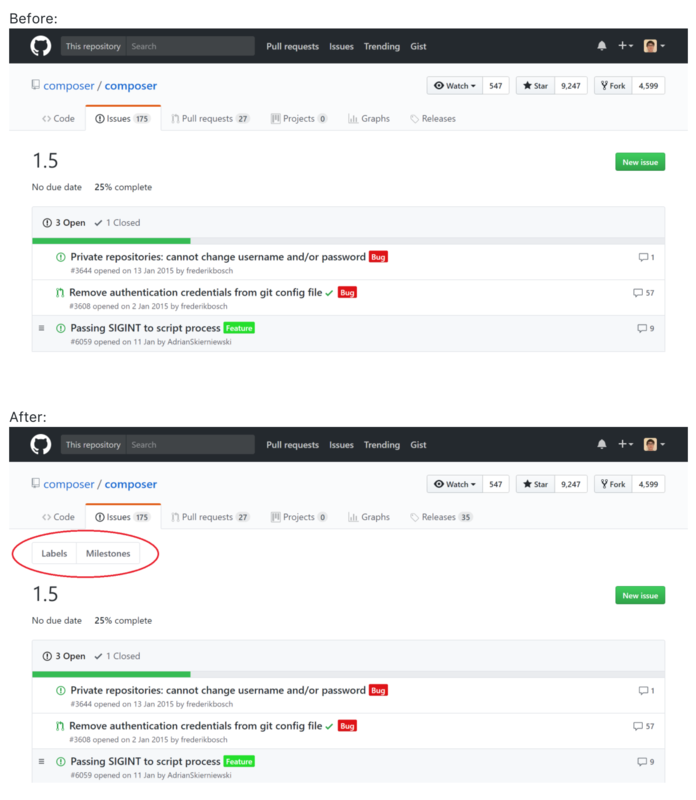 So if you like any of these improvements, please email GitHub support about doing it. Opera extension: Use this Opera extension to install the Chrome version. Copy the canonical link of a file with the y hotkey. Indent text with tab inside comment fields (shift tab for original behavior). 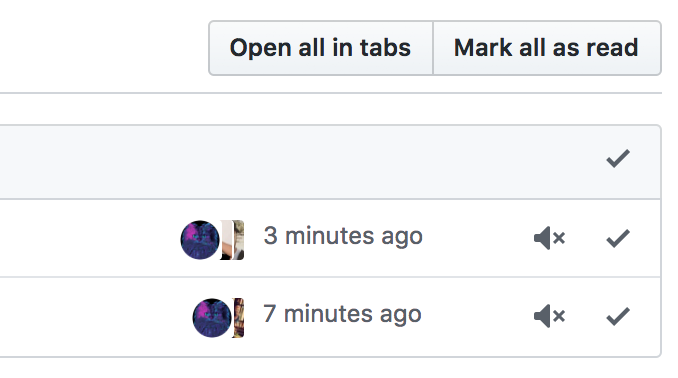 Use the pull request title as the commit title when merging with Squash and merge. View linked gists inline in comments. 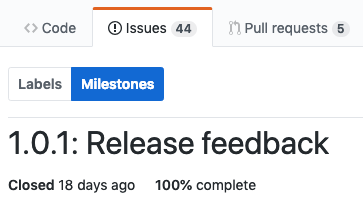 Use the pull request description as the commit message when merging with Squash and merge..
Access related pages on 404 pages. Add co-authors when merging PRs with multiple committers. 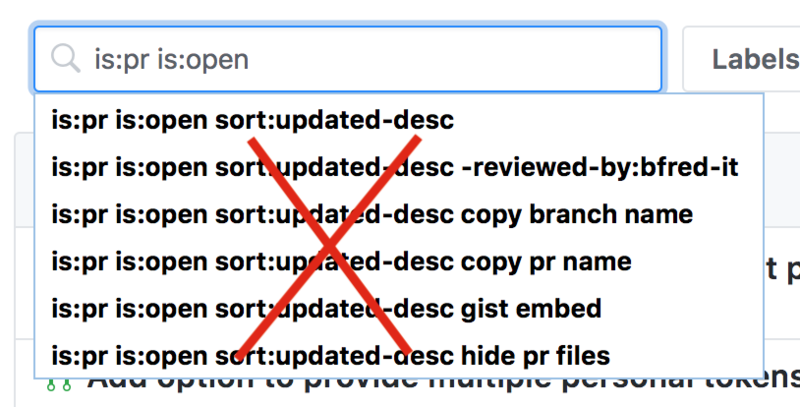 Search for issues and PRs separately in the top search. View the source of Markdown files. Click on branch references in pull requests. Open all your notifications at once. Open selection in new tab with shift o when navigating via j and k.
Quickly access a commit's .patch and .diff files. Navigate from PR commit to raw commit by clicking the commit hash. Browse a repository at the time of each comment, including each link. Visit a user's public gists from their profile. Collapse or expand a repository's browser file list. Quickly visit a repository's default branch and latest version tag. Open multiple issues at once in your repos. Swap branches in the branch compare view. 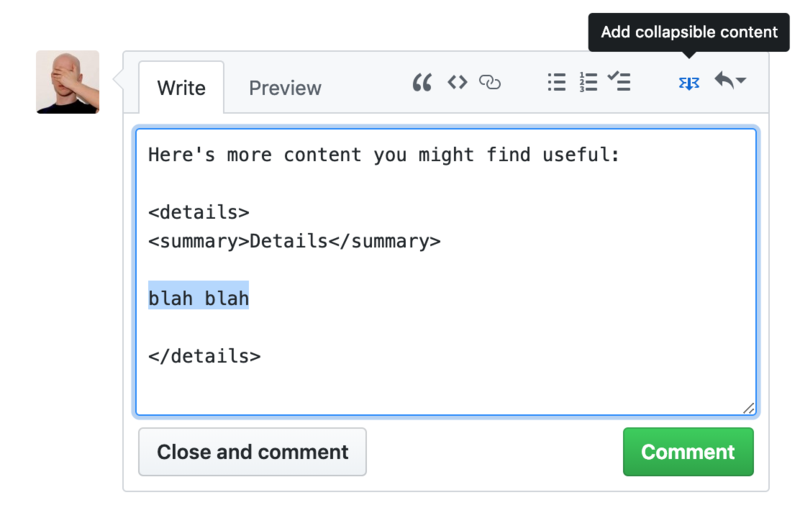 Insert collapsible content when writing comments (via <details>). 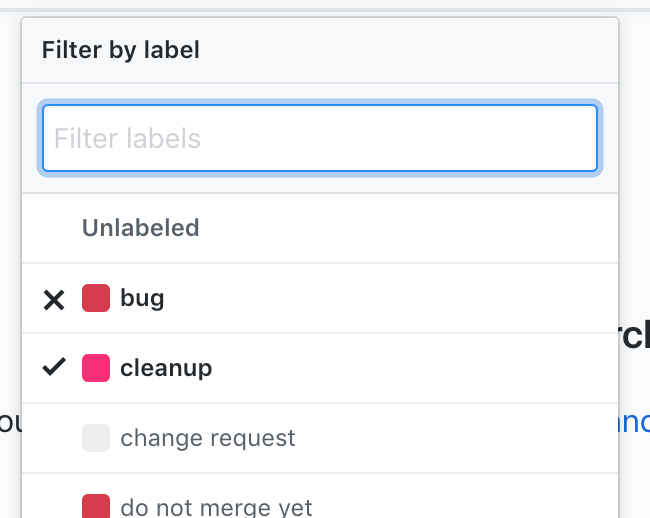 Filter pull requests by their build status. 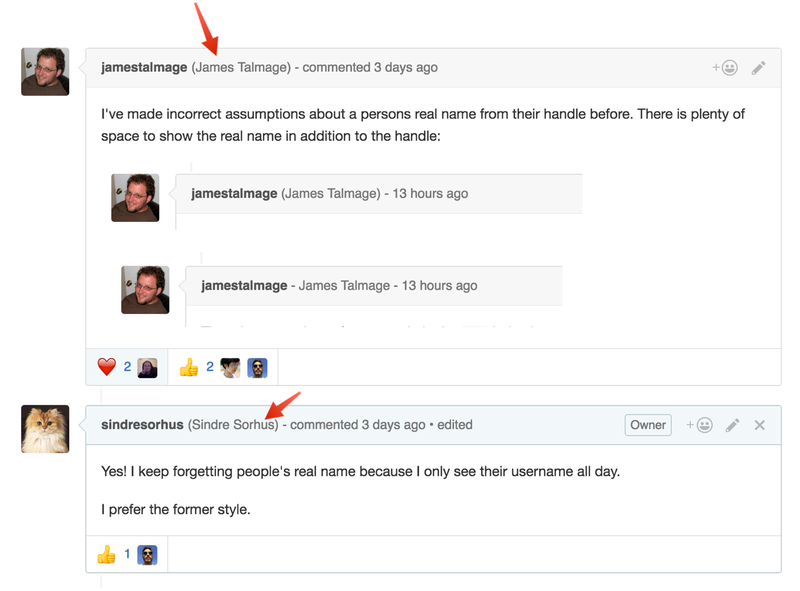 Full names of comment authors are shown next to their username. Issue listing header is always visible. Merge commits are dimmed in commits list. Repo URLs are shortened to readable references like "_user/repo/.file@d71718d". The current repository's build/CI status is always visible next to its name. Review counts are shown and colored in PR lists. Followers you know are shown on profile pages. Private organizations are marked when viewing your own profile. Badge on user's profile if they follow you. Significant head and base branches are added to the PR list. Hidden comments are previewed inline. Your issues and PRs are highlighted. Newsfeed events take up less space and "User starred X repos" groups are now always expanded. Stars on your repos and some other useless events (commits, forks, new followers) are hidden. The file hover effect in the repo file browser is removed. Unnecessary buttons in the comment box toolbar are hidden (each one has a keyboard shortcut). The Checks tab is hidden from PRs when there are no checks. The Projects tab is hidden from repositories and profiles when there are no projects. 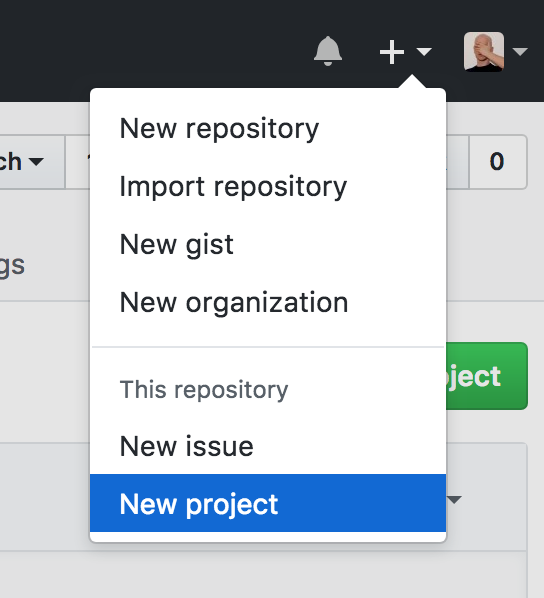 New projects can still be created via the Create new… menu. The autocomplete on the issue search field is removed. 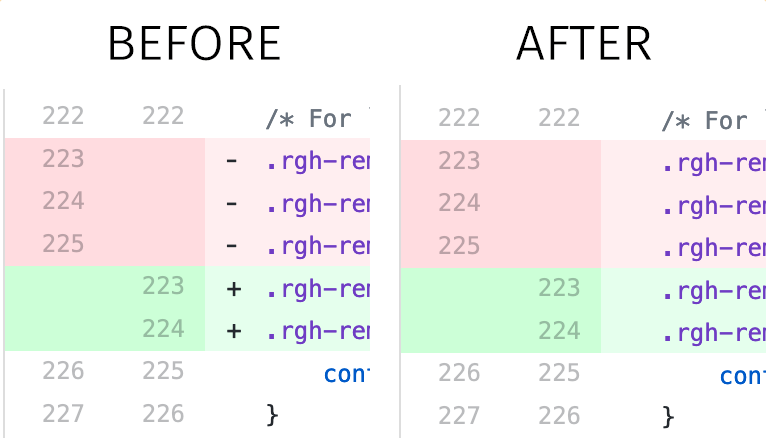 Reaction comments ("+1", "👍", …) are hidden (except the maintainers') but they can still be shown. Tall code blocks and quotes are limited in height. Forks and watchers counters are hidden. Tabs in code are shown as 4 spaces instead of 8 spaces. 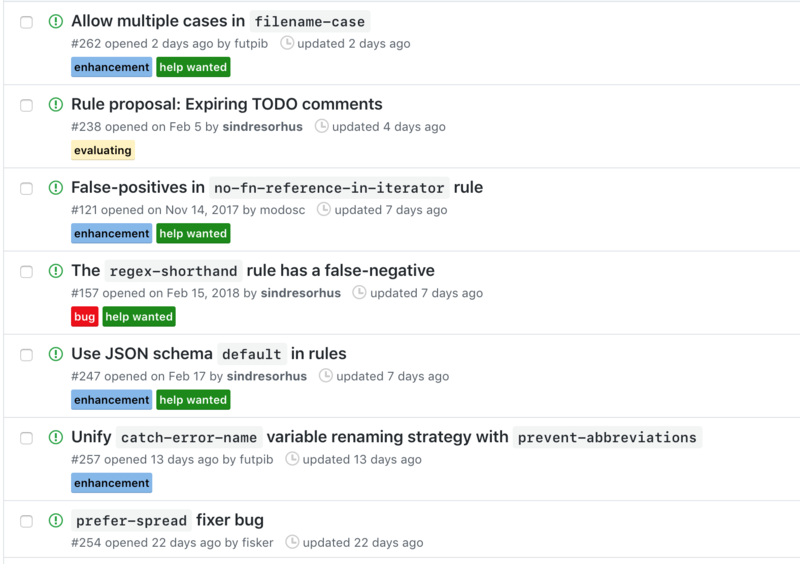 Labels are moved to the left of issue and pull request lists. Approve or reject reviews faster with one-click review type buttons. The news feeds automagically expands when you scroll down. The default sort order of milestones is changed to Closest due date. 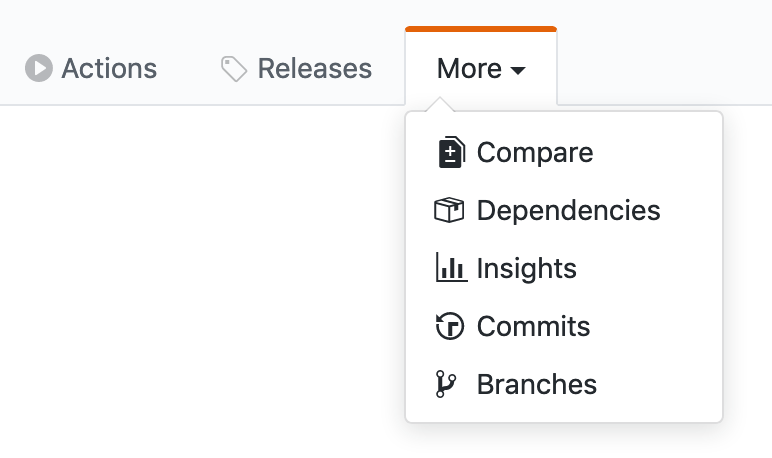 The default sort order of issues and pull requests is changed to Recently updated. Recently-pushed branches no longer cause the content to jump down (they are moved to the header). The Expand diff button is widened. Dropdown menus are automatically closed when they’re no longer visible. 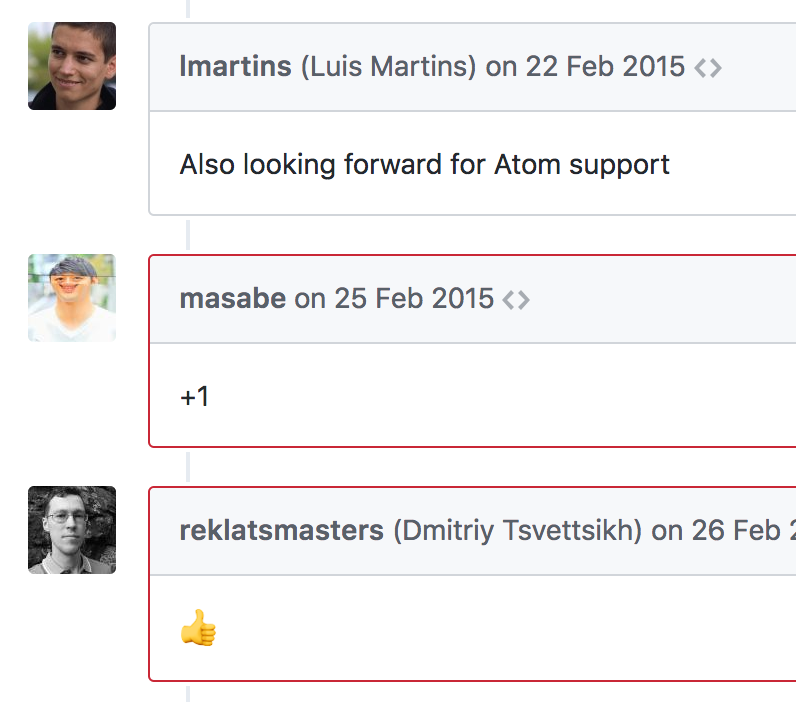 Inactive deployments in PR timelines are hidden. The PR/issues search box is wider. A warning appears when trying to create a PR from the default branch. A warning appears when unchecking Allow edits from maintainers. Comment boxes expand with their content and no longer show scroll bars. Text wrapped in backticks in issue titles and commit titles is highlighted. Access a repository's releases using the Releases tab or by pressing g r.
Create a new release on the Releases tab by pressing c.
Access Commits, Branches, Dependencies, and Compare pages from anywhere in a repository. 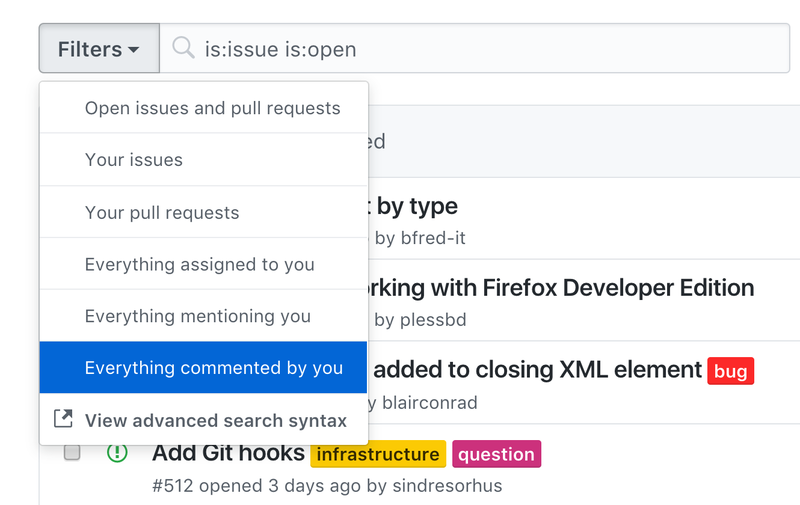 Search for issues and PRs with the Everything commented by you filter. 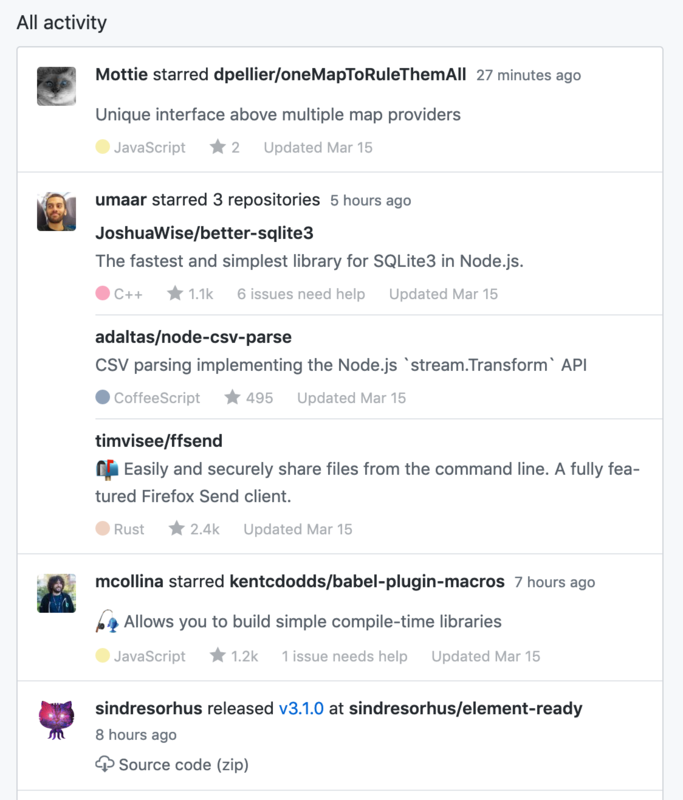 See just the issues and PRs on your repos or commented on by you in the global Issues/Pull Requests pages. Access trending repositories using the Trending link in the global navbar or by pressing g t.
Quickly edit your last comment using the ↑ shortcut. Visit your profile by pressing g m.
Cycle through PR tabs by pressing g ← and g →, or g 1, g 2, g 3 and g 4. Go to the next or previous commit from the bottom of the commit page. 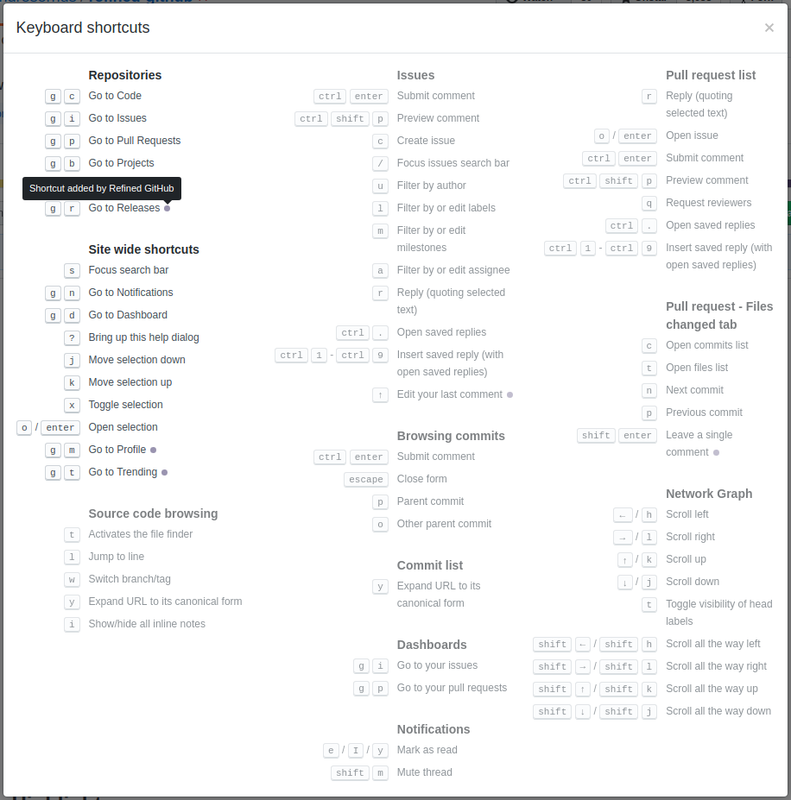 Hide comments in fewer clicks. Use ← and → to navigate through pages with pagination. Find a user’s most starred repositories in their profile. Star/unstar a repository by pressing g s.
Delete a forked repo in one click after its PR has been merged. Toggle whitespace visibility in diffs by pressing d w.
Change diff style and whitespace visibility in one click. Press esc to deselect the current line when viewing files. Edit comments in one click. 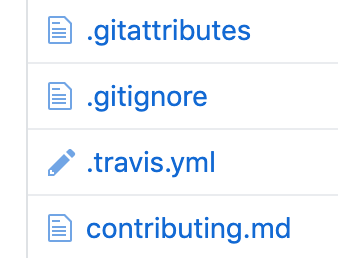 Follow file renames in commits lists. Edit files straight from a repo’s list by clicking their icon. Search or select tags from a dropdown in the Releases page. Implemented by GitHub: Blame parent commits in blame view. Implemented by GitHub: Collapse/expand files in a PR diff. Implemented by GitHub: Preview a issue/PR reference's title in comments. 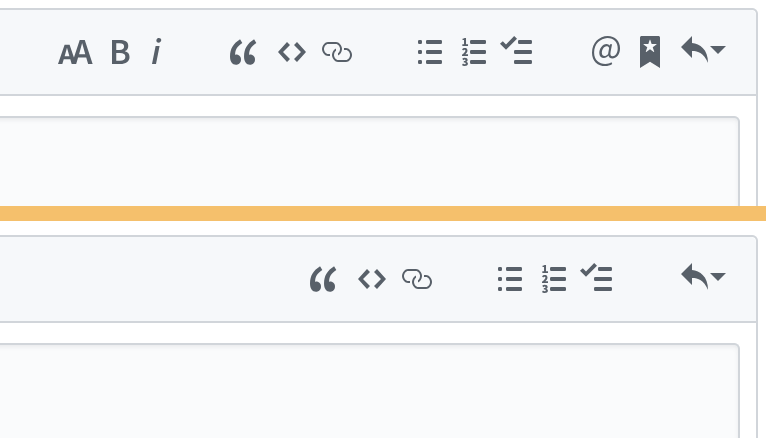 Implemented by GitHub: The dashboard organization switcher is moved to the right column. 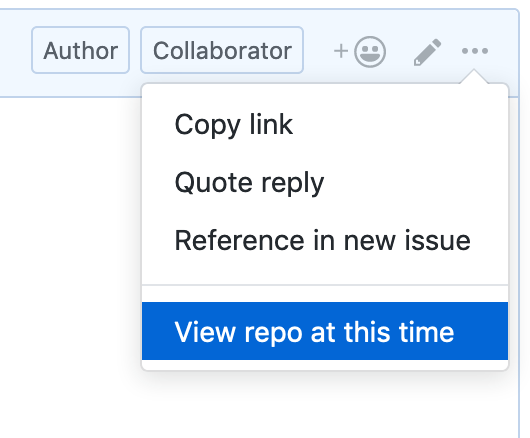 Implemented by GitHub: Quickly edit a repository's README from the repository root. 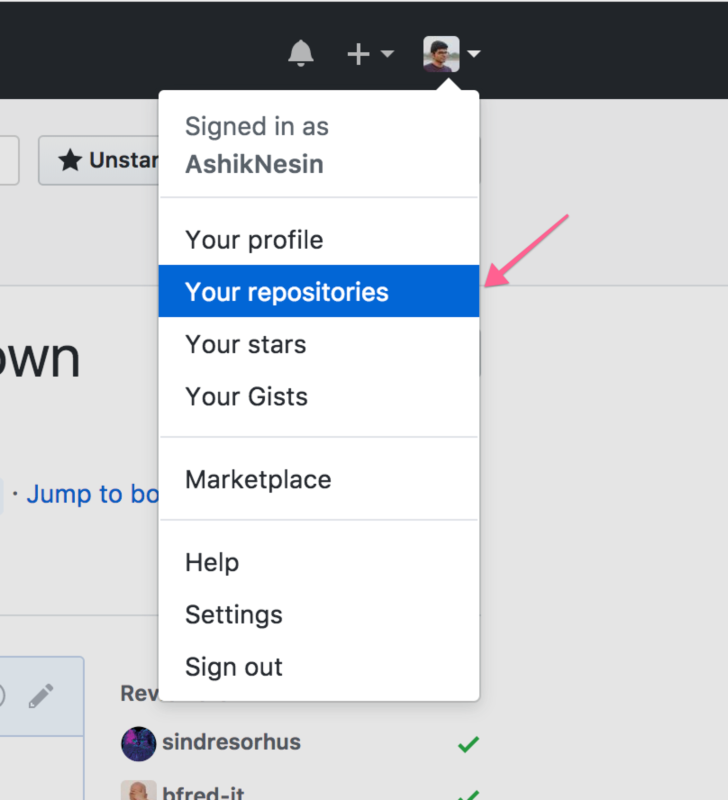 Implemented by GitHub: Access Your repositories from the profile dropdown. 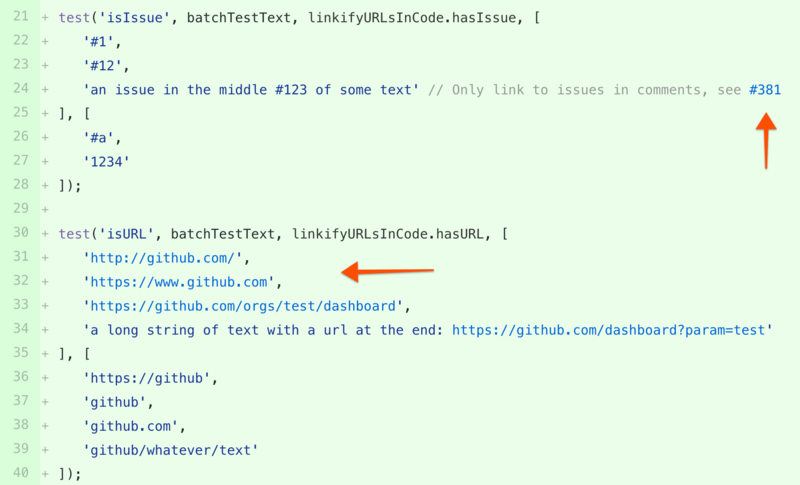 Implemented by GitHub: Permalinked comments are highlighted. 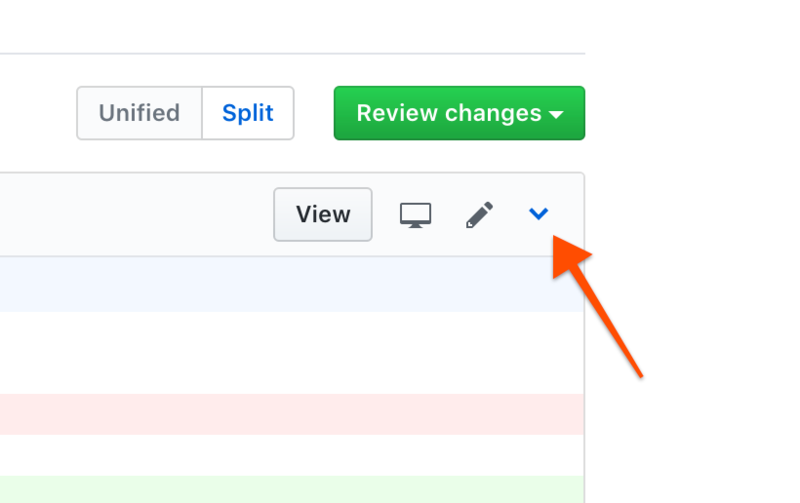 Implemented by GitHub: Leave a single comment in pull request diffs instead of starting a review by pressing shift enter. 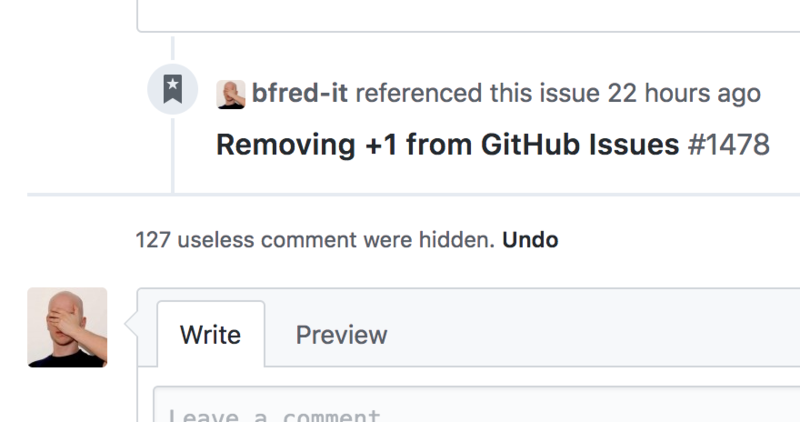 Implemented by GitHub: Quickly delete a file from pull requests. Implemented by GitHub: Pressing Cancel on an inline comment opens a prompt to prevent accidental cancelling. Implemented by GitHub: The + and - signs in diffs are made unselectable for easier copy-pasting. 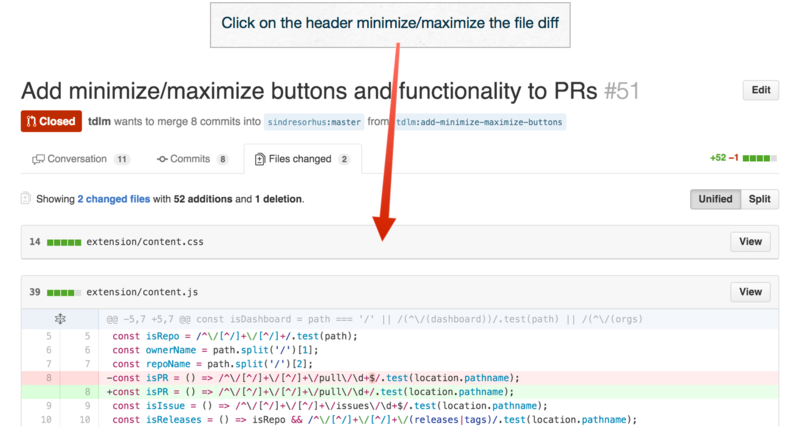 Implemented by GitHub: Toggle all outdated PR comments or PR/commit files with alt click. Implemented by GitHub: Avoid opening duplicate issues thanks to the list of possibly-related issues. 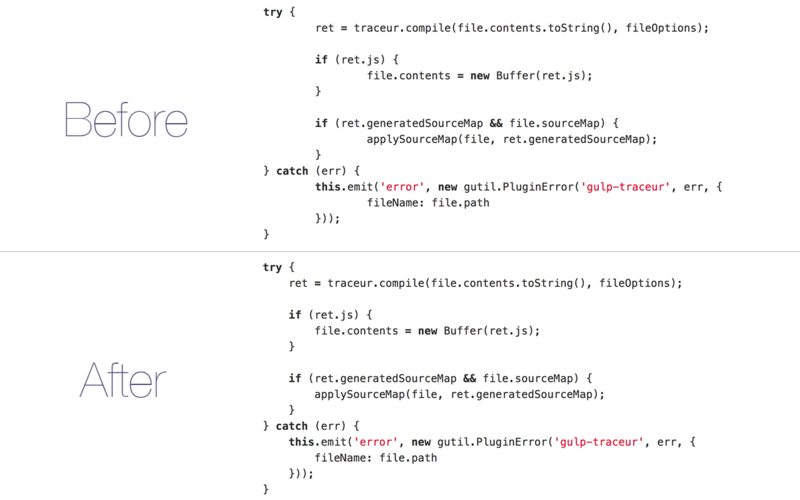 Implemented by GitHub: Copy the path of a PR file. 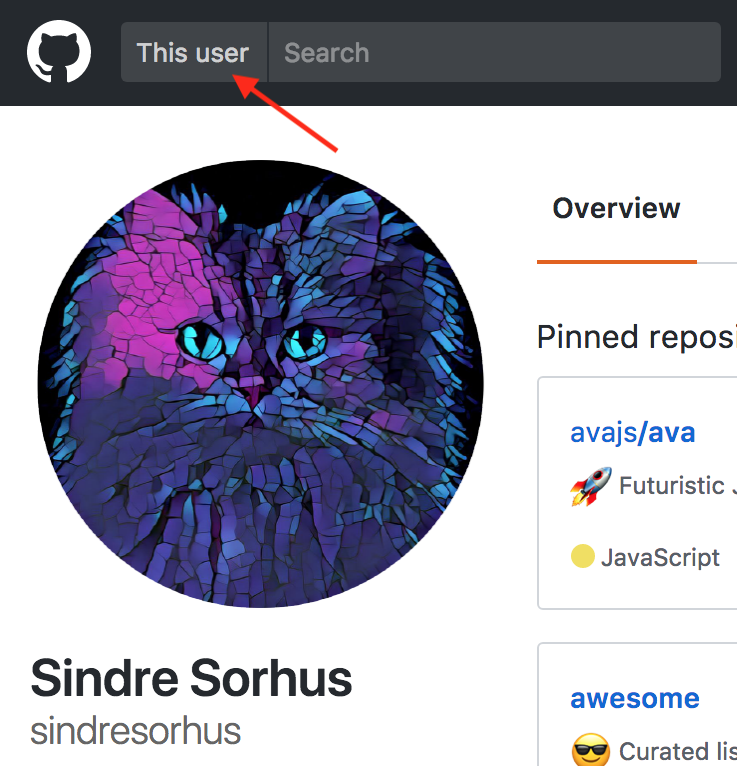 Implemented by GitHub: Search a user profile page when visiting it. 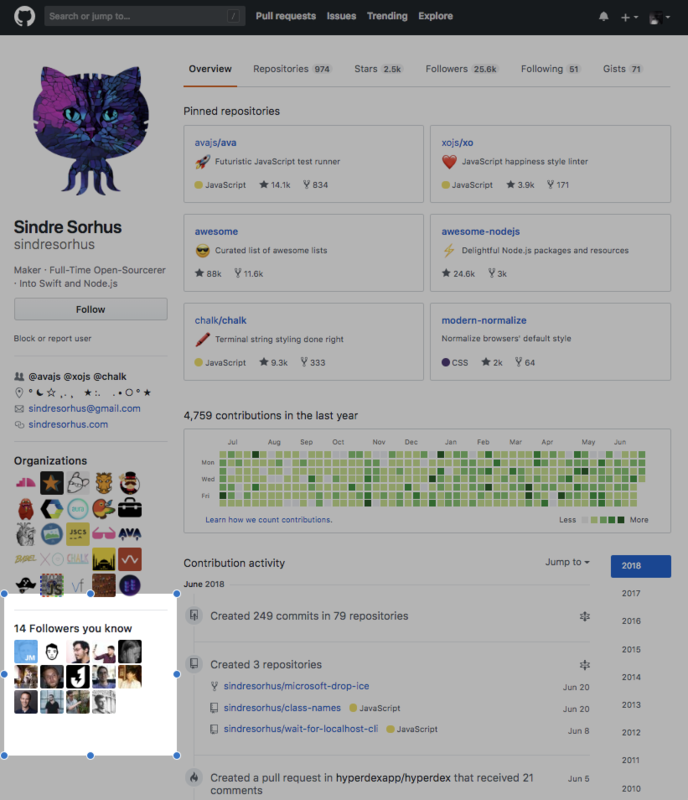 Implemented by GitHub: Access the Labels Milestones navigation from individual milestone pages. 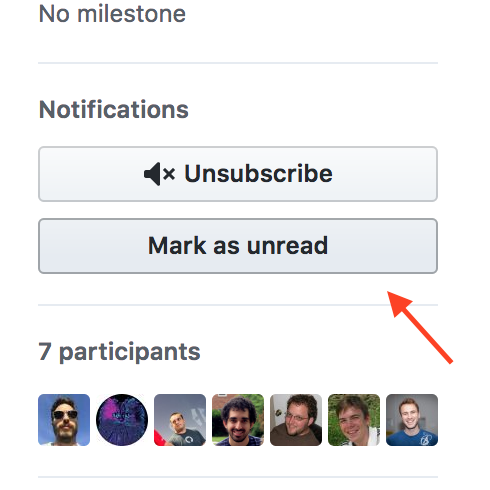 Implemented by GitHub: The comments of who opened an issue/PR are marked with Original Poster label. 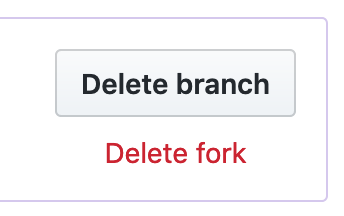 Implemented by GitHub: Quickly delete a forked repo after its pull request has been merged. 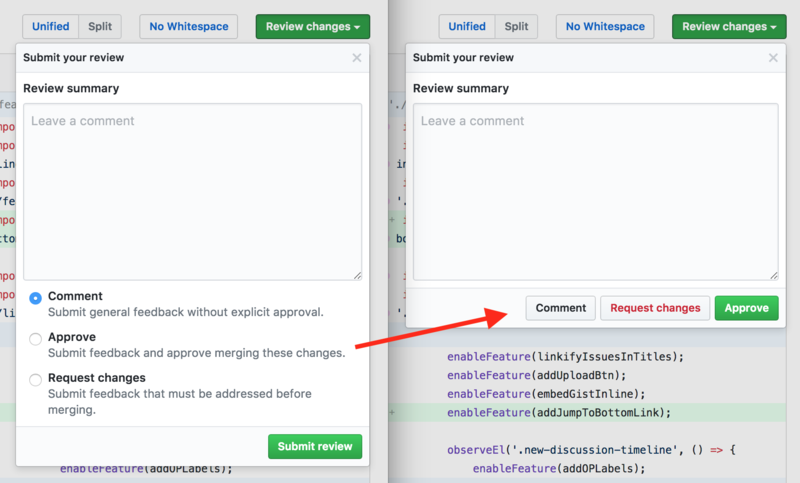 Implemented by GitHub: Exclude PR/issue filters from their list with alt/option-click. 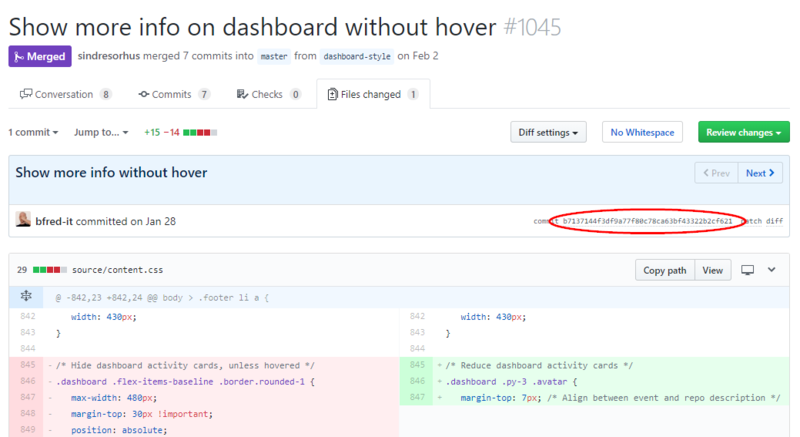 Implemented by GitHub: File headers are always visible. We're happy to receive suggestions and contributions, but be aware this is a highly opinionated project. There's a very high bar for adding options. Users will always disagree with something. That being said, we're open to discussing things. If something doesn't make the cut, you can build your customized Refined GitHub locally, rather than installing it from the Chrome Store. Want more? Here are some ideas you could develop!